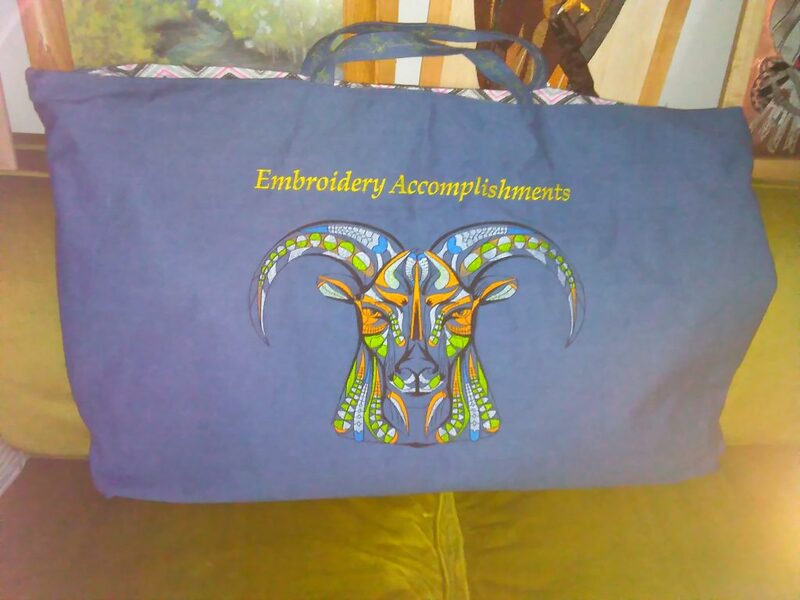 “I made this 24″ x 36″ 4 compartment tote to transport my wall hangings. 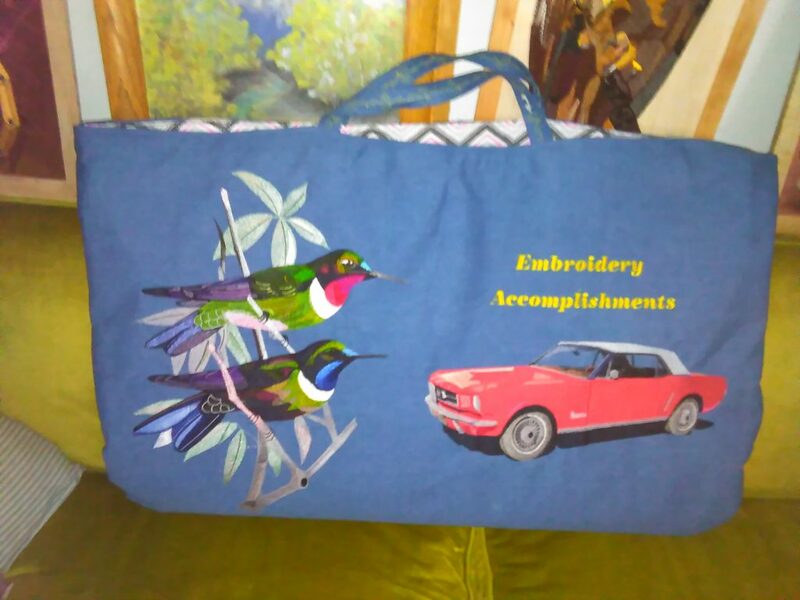 I LOVE Tote bags and use them for many things. (that will be a tutorial later on) but I hadn’t thought of making one large enough for wall hangings. I think this would be a great way to store our embroidered pictures when they aren’t gracing the walls. You could hang them on hooks int he back of a closet or a similar space. It would keep them clean and neat. You could even make totes for different types! 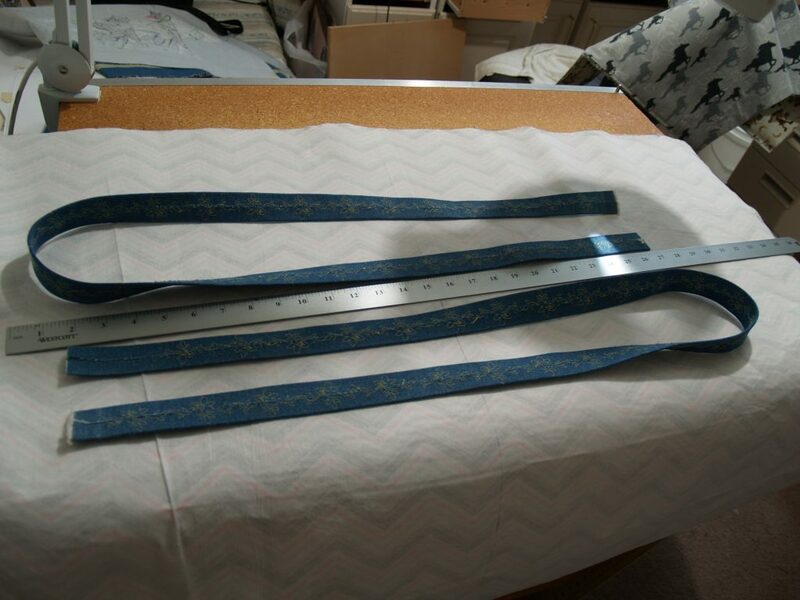 I might add a zipper if I was going to use them for storage to make sure the embroideries didn’t get dusty. This would be a great way to practice doing large designs too! If there is a little *boo-boo* somewhere it wouldn’t matter and you would have very interesting Embroidery Tote bags! Previous Previous post: Velda’s been busy!! !